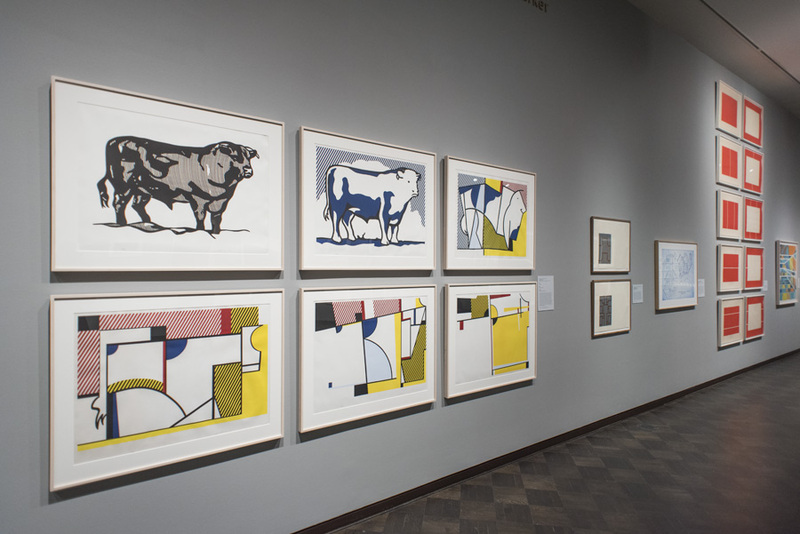 Spanning the past five decades, the exhibition features works by thirty-nine artists from Jasper Johns and Sol LeWitt to Damien Hirst, Kiki Smith, and Hung Liu. 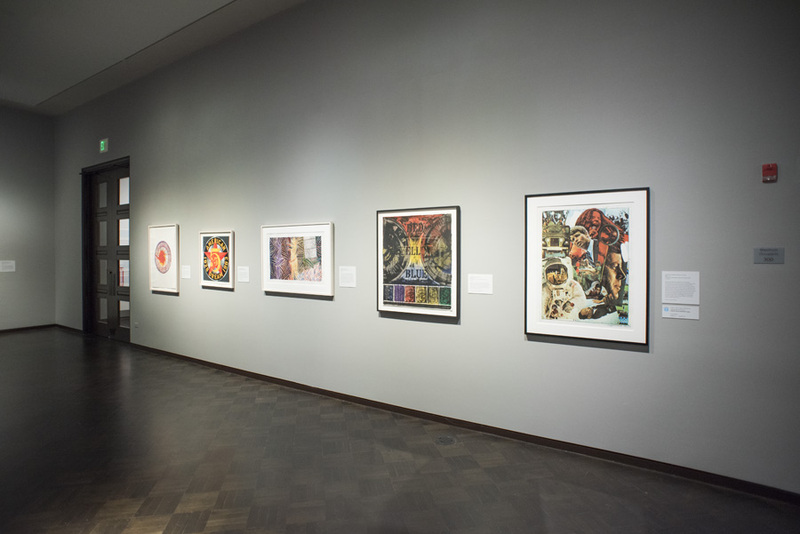 Under Pressure: Contemporary Prints from the Collections of Jordan D. Schnitzer and His Family Foundation charts an array of artistic and social concerns, from minimalism to pop and conceptual art, and more recent works addressing race, gender, and identity. 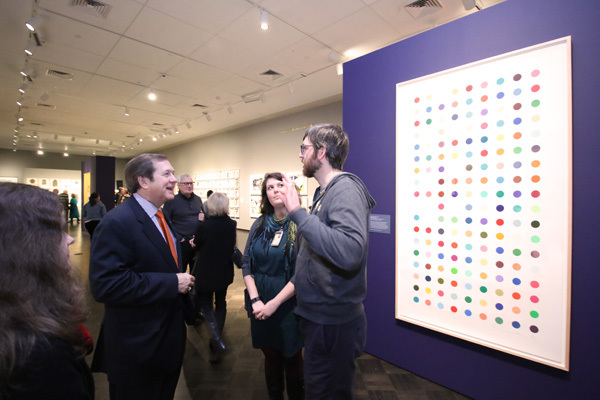 The exhibit was arranged by Stefano Catalani, Director of Art, Craft, & Design, Bellevue Arts Museum. 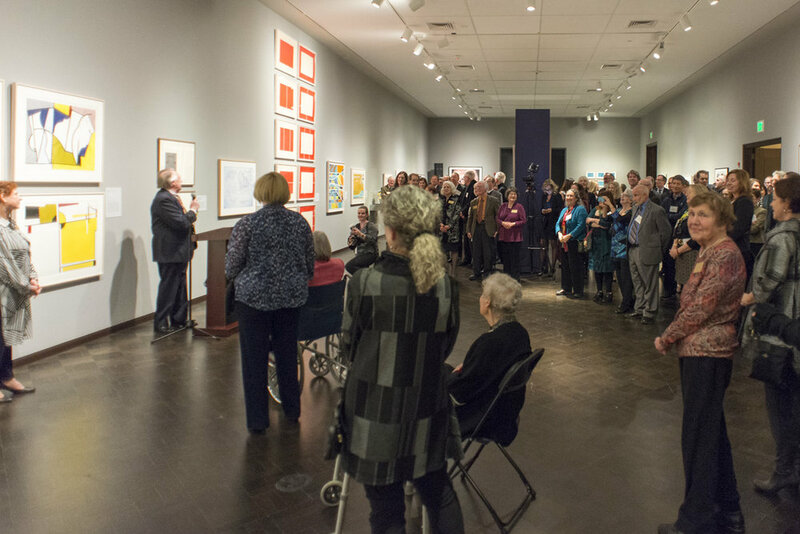 Jordan D. Schnitzer gives a tour of the exhibition "Under Pressure: Contemporary Prints from the Collections of Jordan D. Schnitzer and His Family Foundation" at the Jordan Schnitzer Museum of Art at University of Oregon, Eugene, OR. 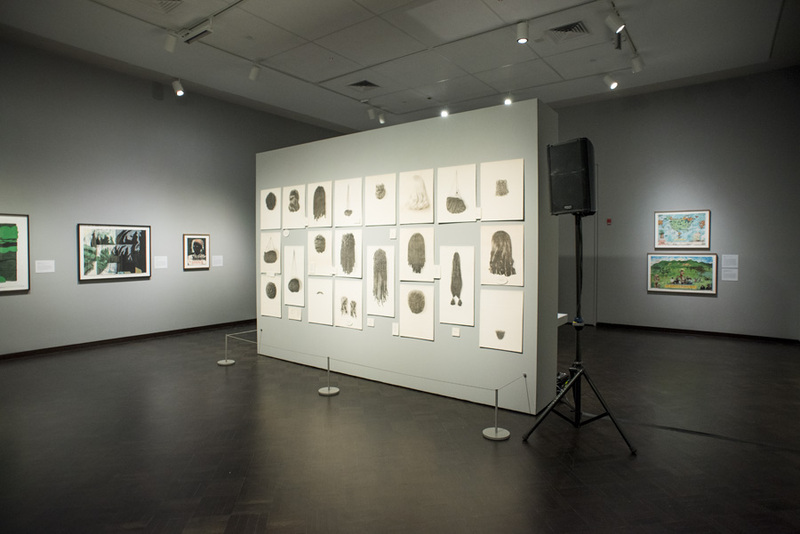 On view January 24-March 29, 2015.